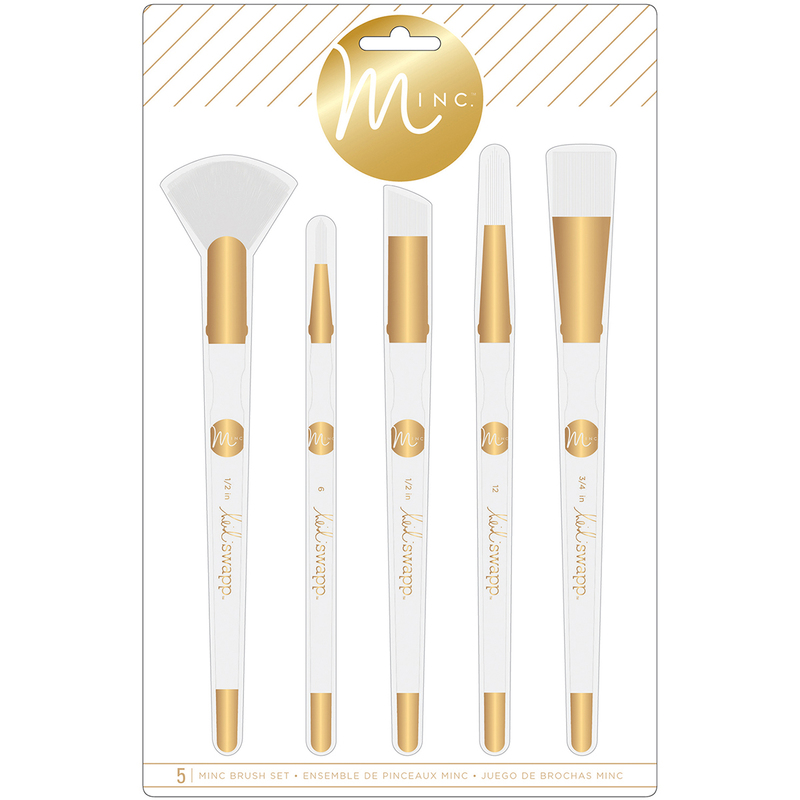 Heidi Swapp-Minc Brush Set. These brushes are perfect for any paper crafting project! This 10-1/4x6-3/4 inch package contains five brushes with assorted tips. WARNING: This product contains chemicals known to the State of California to cause cancer, birth defects or other reproductive harm. Do not mouth or chew. Imported.